The best Apple laptop for a student might be an iPad with an add-on keyboard. The fall semester is right around the corner, so students will soon be plugging away on homework and research papers. 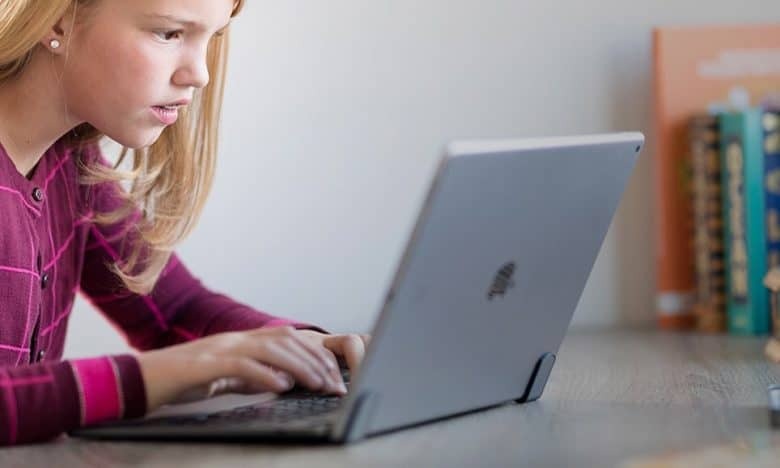 Here’s our recommendations for the the best Apple laptops for your student, from college to elementary school. And we cover more than just laptops, also recommending the best desktops and tablets, so there’s something here for everyone. When laptop shopping for a college student, the temptation is to get them the most powerful — and expensive — one available. That’s probably what they’re going to ask for, especially when they’re not paying for it. But in virtually all cases, buying a tricked-out MacBook Pro is overkill unless they’re majoring in video production or game design. The 2015 MacBook is at the top of our list of of the best Apple laptops. The 2017 MacBook is far cheaper and will do all they need. Consider a refurbished version to save quite a bit more. It has a 12-inch screen, but that makes the laptop very portable. It comes in at a light-weight 3.4 pounds. On the inside of this 2017 model is an Intel 7th-generation “Kaby Lake” processor. The 1.2GHz (3.0GHz Turbo Boost) Core m3 is fine for typical students. Those who genuinely need more power — as opposed to just wanting more — should consider a jump to a 2018 MacBook Pro. The advantage of that processor is long battery life. Expect to go over ten hours even with heavy usage. Let’s not forget 8GB of RAM and 256GB of storage capacity. That’s plenty of both. The MacBook’s keyboard offers a decent typing experience. There’s only a single USB-C port, so if the plan is to look up an external keyboard and monitor (recommended for dorm rooms), you should invest in Apple’s multi-port adapter. It’s not possible to take handwritten notes on a MacBook. An iPad with an Apple Pencil the right tool for that job. The 12.9-inch version has a screen as big as a sheet of notebook paper, making it Apple’s best tablet. If your budget doesn’t stretch that far, the 10.5-inch version isn’t too much smaller. But that’s just the beginning of the iPad Pro’s capabilities. Apple provides the iWork productivity suite for free, or there’s Microsoft Office 365. There are literally millions of other applications for iPad. That said, not all of these are as powerful as similar macOS apps. Still, the days when one could dismiss an iOS tablet as an over-grown iPhone are long over. Consider that it’s powered by a 2.39 GHz processor, with 4GB of RAM. The base model has 64GB of storage. Students almost certainly need an add-on keyboard, so forctor that into your budget. 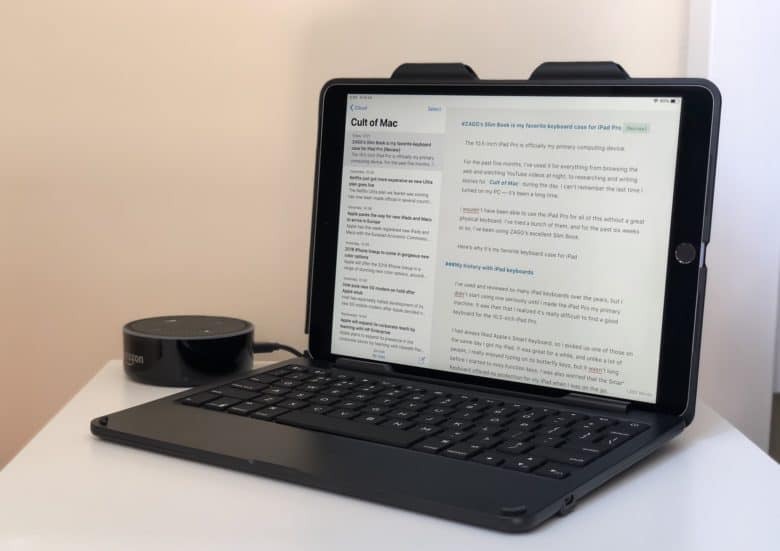 There’s an official Apple Smart Keyboard, but we also like the Zagg Slim Book and the Brydge clip-on keyboard. The ZAGG Slim Book turns an iPad Pro into a lightweight laptop with a touchscreen. Students are constantly on the move, and one of the main benefits of iPad is portability. Even the largest model is a mere 1.5 pounds. Keyboards vary in weight, but adding one still leaves an iPad Pro thinner and lighter than a MacBook. Top-tier laptops are expensive. It costs a lot to pack all that capability into a small package. Desktops don’t have that problem. That’s why you can get a very powerful iMac for surprisingly little. Like the one Apple released last year. 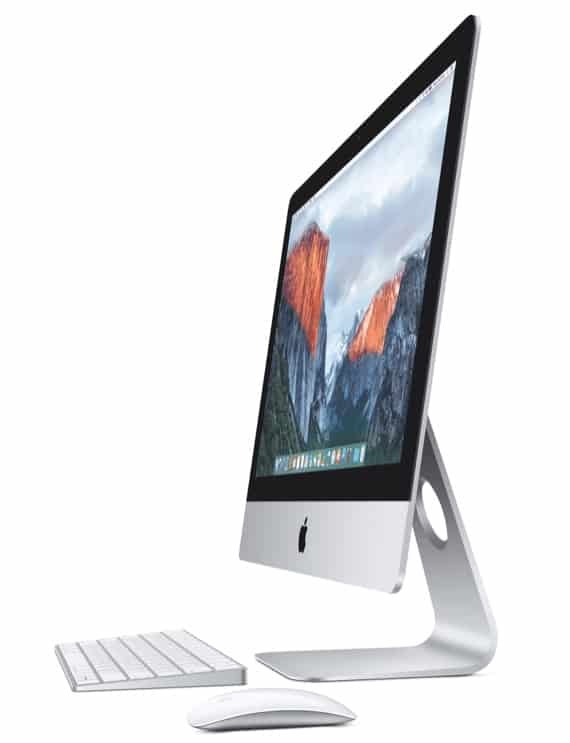 An iMac is as powerful as a good macOS laptop but for much less money. 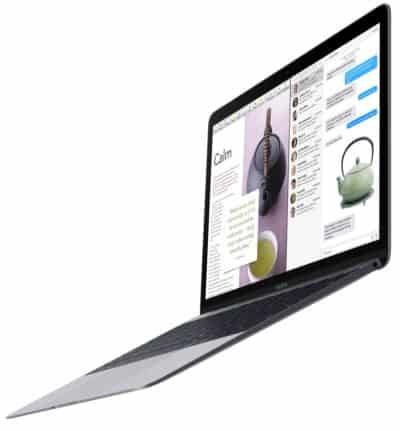 The built-in 21.5-inch 4K display is beautiful, and the base model comes with a 3.0GHz (3.5Ghz Turbo Boost) Intel Core i5 processor, 8GB of RAM, and a 1TB hard drive. There’s a plethora of ports, and Apple includes a keyboard and mouse. Of course, a mobile computer to take to class is also necessary. The best solution is the combine an iPad with the iMac. The student gets a quite portable solution that can be used in tandem with a very powerful, large-screen computer. And all this still costs less than the base 15-inch MacBook Pro. Plus, there are refurbished units available to save you some money. Up to now, everything covered is probably overkill for an elementary-school student. Fortunately, there’s the new 9.7-inch iPad, which was specifically created for this agegroup. The Apple Pencil can be used with the model released this spring. That makes in invaluable for learning to write and draw. There’s a wealth of iOS education software on the App Store. There are add-on keyboards available for when the child outgrows using their fingertip for everything. And don’t forget to budget for a good strong case, because kids this age drop computers all the time. All the devices so far have been a bit pricey. But there’s not much we can do; Apple’s not known for low-cost computers. But here’s a deal. MyPhones Unlimited, the company behind our iPhone buyback program, is offering Cult of Mac readers $50 off refurbished 2015 MacBook Air units. That brings the cost down to $399. Just use coupon code “CULT”. This laptop has a 13.3 screen, and a 1.8 GHz (Turbo Boost up to 3.2GHz) Core i5 processor. There’s 8GB of memory and 128GB of storage. At this price, it’s a decent computer for a middle- or high schooler. It might not be able to do everything they want, but it can do everything they need. It’s not the newest computer around, but it’s certainly a bargain. Without this deal, the 2017 MacBook is a better computer for most people. It’s faster, with more ports, and a much higher-resolution display, even if it’s smaller. 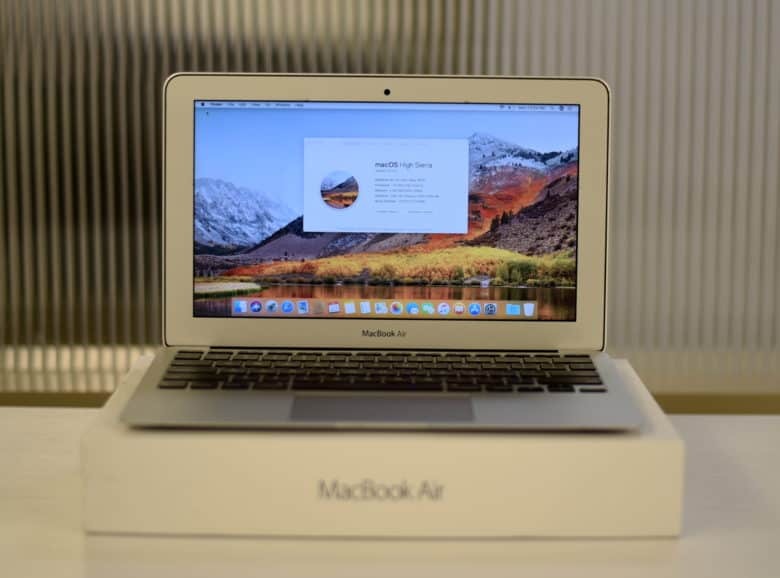 But if your budget is tight, consider the MacBook Air refurb.